Picaninny Gorge in the Bungle Bungles (Purnululu) means sandstone in the local Kija Aboriginal language. The name “Bungle Bungle” may come from the corruption of an Aboriginal name for the area, or from a misspelling of “bundle bundle”, one of the common Kimberley grasses found here. The distinctive beehive-shaped towers of the Bungle Bungle are made up of a very fragile sandstone. The area was listed as a world heritage site in July 2003, and has legendary status as one of the most unique and remote natural wonders in Australia, if not the world. 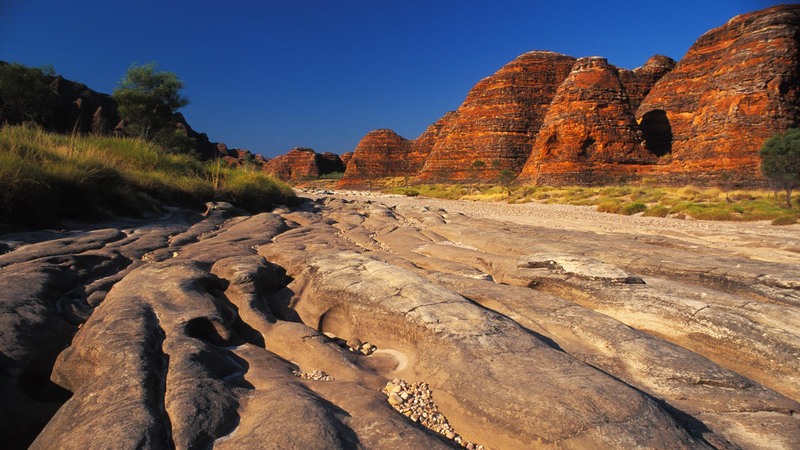 The splendid isolation of the Bungles is a great attraction to trekkers.